Dr Paul Burn is a Senior Executive at Sanford Health, an integrated health care organization and the largest health care provider in rural USA. He currently serves as the Broin Chair and Director of The Sanford Project, a multidisciplinary research initiative focused on delivering a cure for type 1 diabetes. Diabetes is the theme of this month’s edition of Drug Discovery Today’s Editor’s Choice newsletter. According to the latest data published by the World Health Organization (WHO) approximately 346 million people worldwide are living with diabetes today. If left untreated, chronic hyperglycemia can lead to several macrovascular and microvascular diabetic complications. In spite of the epidemic proportions, exploding healthcare costs, and the great impact this disease has on patients, health care providers, health care systems and insurers, to date, no cures have been identified yet. Diabetes is a chronic disease that occurs either when the beta-cells of the pancreas do not produce enough insulin or when the body cannot effectively use the insulin it produces. As such, both, type 1 diabetes (T1D), an autoimmune disease, and type 2 diabetes (T2D), a metabolic disorder, are diseases characterized by relative insulin deficiencies resulting in chronic hyperglycemia. Consequently, insulin-replacement therapy is the life-saving, first-line treatment for T1D. As the disease progresses, to maintain glucose control, most T2D patients eventually require insulin treatment regimens as well. Insulin-replacement therapy is, however, not a cure and cannot prevent disease progression and the development of long-term diabetic complications. Insulin was introduced into the market place in 1923 and ever since, the pharmaceutical industry’s focus has been on developing novel insulins with improved pharmacokinetic profiles, more convenient formulations and alternative delivery methods. Meanwhile, the focus of academic laboratories has been on characterizing the underlying molecular and cellular mechanisms and the identification of novel drug targets. More recently, advancements in regenerative medicine have spurred studies into disease-modifying approaches and cures that are based on stimulating endogenous repair mechanisms leading to the regeneration of insulin-producing beta-cells. The first of our free downloads is an article by Xiaopin Duan and Shirui Mao entitled ‘New strategies to improve the intranasal absorption of insulin’. In this article they describe intranasal delivery of insulin as one of the alternative delivery methods. They discuss in great detail the advantages and disadvantages of intranasal insulin delivery as an alternative route to parenteral administration. Various strategies aimed at enhancing the intranasal absorption of insulin are introduced to the reader, including chemical modifications of insulin, use of enzyme inhibitors and absorption enhancers, nanoparticles, and delivery systems providing increased retention times. The authors conclude that bioadhesive microsphere delivery systems or water-insoluble powders with absorption enhancers are the two most promising approaches for improving intranasal delivery of insulin in the near term. In the second download entitled ’Diabetic cardiomyopathy: mechanisms and therapeutic targets’, Pavan Battiprolu, Thomas Gillette, Zhao Wang, Sergio Lavandero and Joseph Hill introduce and discuss diabetic cardiomyopathy. Diabetic cardiomyopathy is a diabetes-associated disorder characterized by significant changes in the physiology, structure, and mechanical function of the heart. They discuss the concept that chronic hyperglycemia and hyperlipidemia are associated with changes at the molecular and cellular level of the myocyte, resulting in structural and functional abnormalities in the heart. They conclude that, to date, treatments aimed at proper control of hyperglycemia have not delivered any meaningful morbidity and mortality benefits to patients displaying deteriorating myocardial structure and function. Thus, they suggest that targeting specific metabolic and structural derangements early in the disease process might be required to stop further progression or reversal of diabetic cardiomyopathy. I conclude this series with an article entitled ‘The potential of incretin-based therapies in type 1 diabetes’. My colleague, Suen Chen and I discuss the preclinical and clinical data that have been accumulated to date on incretin-based therapies in T1D and T2D settings. The beneficial, insulinotropic and glucagonostatic effects of glucagon-like peptide-1 (GLP-1), GLP-1 mimetics/analogs, and dipeptidyl peptidase-4 (DPP-4) in alleviating hyperglycemia, protecting progressive impairment of pancreatic beta-cell function, and preservation of beta-cell mass in addition to effects on immuno-modulation, anti-inflammation and beta-cell regeneration are reviewed. We conclude that the FDA and EMA approved GLP-1 mimetics/analogs (exenatide and liraglutide) and DPP-4 inhibitors (sitagliptin, saxagliptin and linagliptin) have already demonstrated their clinical utilities in the T2D indication. We suggest that now is the time to assess incretin-based therapies in T1D patients to investigate their effectiveness in delaying the new-onset, halting the further progression, or reversing T1D in subjects with newly diagnosed or established disease. If successful, incretin-based therapies might soon emerge as safe, clinically relevant, and commercially viable solutions and cures for patients diagnosed with T1D. Dr Paul Burn is a Senior Executive at Sanford Health, an integrated health care organization and the largest health care provider in rural USA. He currently serves as the Broin Chair and Director of The Sanford Project, a multidisciplinary research initiative focused on delivering a cure for T1D. 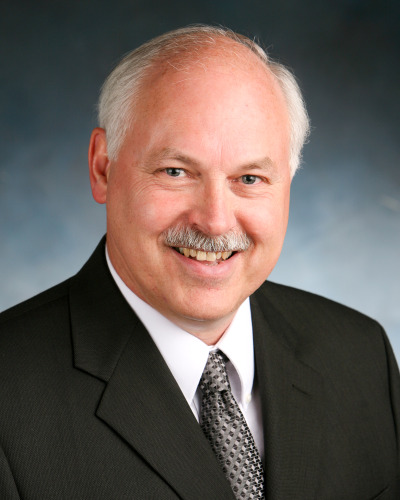 He also holds an appointment as Professor of Pediatrics at the Sanford School of Medicine of The University of South Dakota and serves on several Scientific Advisory Boards at universities and biotech companies. Prior to joining Sanford Health, Dr Burn gained extensive international leadership and R&D experience in the pharmaceutical and biotech industry, in academia, and in not-for-profit organizations. He is responsible for identifying and advancing more than 25 molecules from preclinical into clinical settings and successfully led many translational research programs towards market introduction. Dr Burn served in the position of Senior Vice President of R&D at the Juvenile Diabetes Research Foundation (JDRF); at Hoffman-La Roche as the Global Head for the metabolic diseases therapeutic area and as Vice President of Biotechnology; at Eli Lilly and Company he performed as the Director of Endocrine Research and Clinical Investigation; at Bayer Health Care as Director of Diabetes R&D; and at Monsanto/Pharmacia as Vice President of R&D for the Nutrition Division. Previously, Dr Burn held positions at various academic institutions, including the University of California, San Diego, CA, USA and the University of Basel, Switzerland. He authored more than a hundred articles in some of the most prestigious scientific journals. Dr Burn was trained as a biochemist, cell biologist and molecular biologist and holds a PhD from the Biocenter of the University of Basel, Switzerland.